Life experience is a treasure that should be shared, especially with the generations following us. That's why I believe that more of us who are older should consider teaching as a bridge between our working years and retirement. This is a time in our lives when many of us are truly coming into our own, with a wealth of knowledge accumulated through mistakes, missteps and plain stupidity. Not that we are now wise, but we surely are wiser. And we can relate to the brashness of youth that may be a cover for debilitating insecurity, to a nervous and shy young person on the brink of blossoming into a wondrous being. Tell us what you really know about turning 65. E-mail your essay of up to 400 words to whatiknow@aarp.org. Or mail it to "What I Really Know," AARP Bulletin, 601 E St. NW, Washington, DC 20049. Please include your name and a phone number or e-mail address. Selections will appear in April at bulletin.aarp.org. About 15 years ago, after a career in journalism, I began teaching English at a community college. The most magical time is that first day of classes, when I meet my students and I know that this semester is going to be the best ever. How could it not be? I have learned from the previous year what worked and what didn't. I have learned that someone's appearance does not define that person. 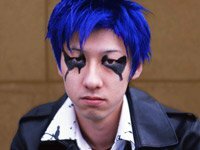 That blue-haired guy in a seat against the wall with multiple face piercings who has painted his fingernails black may be the prize English teachers look for — the student who can express himself in words that sing. I have learned that every student is a worthy individual. In their writings they reveal themselves in ways that honor and humble me. They write about lives torn by divorce, lives healed through blended families, grandparents who give them anchor, siblings who are part of their fabric. Anyone who thinks youngsters today are spoiled and egocentric should spend one day in my class. I will show you a group with ideas, opinions and humor — people who are engaged in life, in living. Oh yes, some of them are wrapped up in themselves, but guess what? So are some of us. And we should know better. Pat Paholsky is a reader from Ray, Mich.